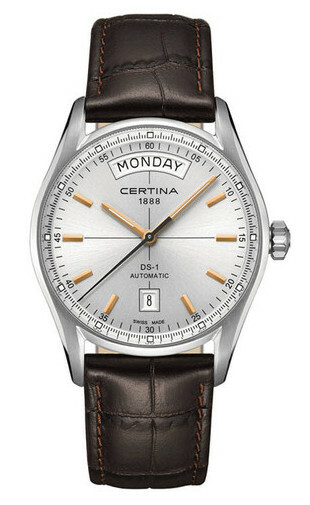 One of the most popular watch styles is the Day Date and yet it is hardly ever marketed with any great fanfare. But it’s no accident that many of the very best Makers have Day Dates in their range as they know that to so many people, it is the perfect wrist assistant. 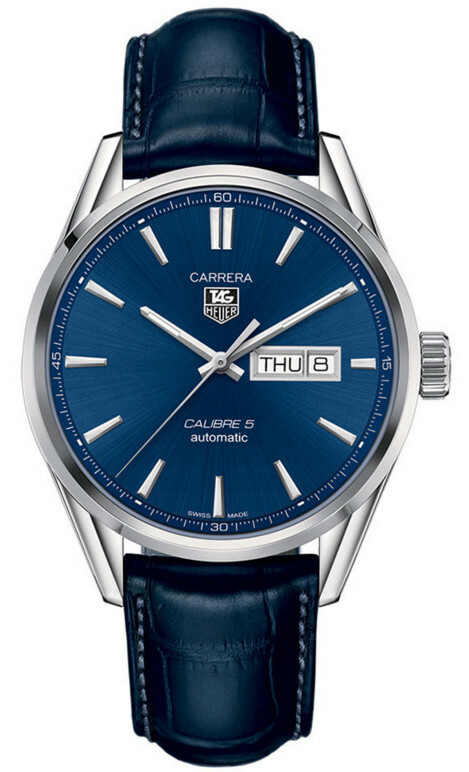 They tell you the Time, the Date and the Day, the three most pertinent and popular functions of the wristwatch. They also are available at very affordable prices. There are Solar, Kinetic and Quartz, Manual wind mechanicals of all sorts of shapes and sizes, but for me the old classic mechanical Automatic is still around, is in good supply and still fun to own. That feeling of cogs and wheels and springs and things – ticking along on your wrist – no electronics, no touch screen, no Bluetooth, no Wi-Fi and no Internet – but self contained and still a true mechanical technical marvel. It’s really difficult to beat – no battery, no light requirement and with mechanics that can easily with the movement of your wrist, outlast you. Mind you if you suddenly “snuff” it, your watch, after a decent interval, perhaps out of respect will also stop! But it only sleeps – waiting till the next live person comes along and suddenly it’s ticking away – recording time as it was made to do – something a bit science fiction about that and maybe even a bit surreal! 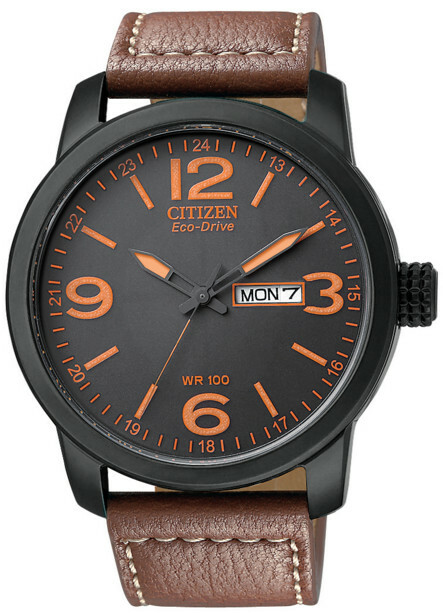 In fact if you think about it – you are simply the custodian of the mechanical watch . . . .
Citizen Eco-Drive Day Date watch – 100m Water Resistance too. Anyway I feature a few different models here – The first is one of the relatively few Solar powered ones around – from Citizen. It’s good as it too never needs a battery, it shows the Time, the Date and the Day. Those three can be adjusted very easily using the crown as it has traditional geared analog hands display. It will however need to see a decent light source sometimes as with any Solar model, but basically it’s a set and forget watch and it’s very affordable. 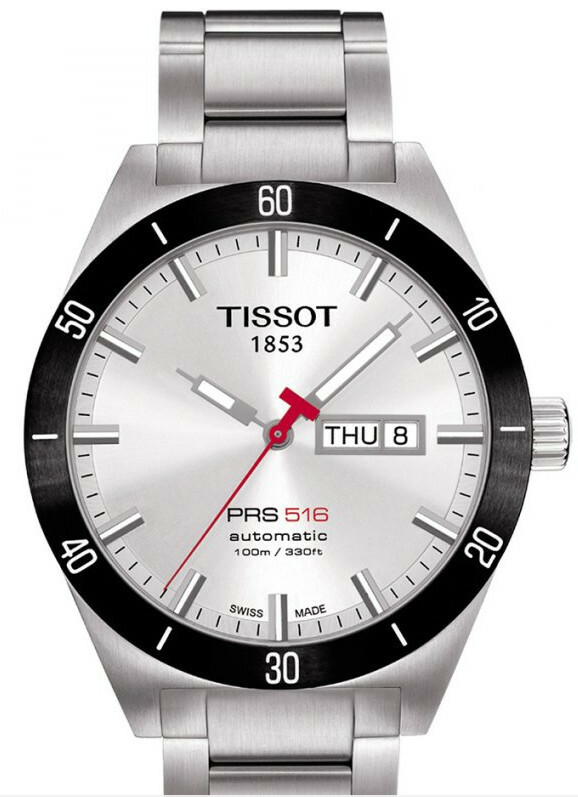 The next images feature a few of the Day and Date Automatic models I’ve found and these can be from Dress styles to Divers and all have a common feature – very easy to use. And of course being automatic, they require nothing from you, except for you to wear them. A great feature of the Automatic (and I’ve already mentioned it) is that it doesn’t have a battery, it doesn’t require a light source and setting Time Zones or Summer Times is so very uncomplicated (so many specialist watches make a real song and dance about it). Here it’s just a case of, crown out, move hands, crown in – job done. No instruction booklets or prodigious memory required for what can often be a hugely over-complicated push button sequence. Maybe this is a more apt description of an ABC watch! Because it’s as simple as A, B, C! There are other watches of course that can show the Time, Day and Date plus many other functions, but frankly these are often complicated should you wish to use these functions, such as, as I said changing Time Zones. But that said there are a few today that overcome some of these limitations. Radio Controlled and GPS models can, used correctly, show the correct Time and Zones and the latest models have tried hard to reduce required command functions should changes be required. But for me the mechanical Automatic is still on top in the practicality and no-brainer stakes, so easy to use and will last many lifetimes. So the basic data provision of Time, Day and Date as an instant view really hasn’t changed much over the years. It is still one of the true prerequisites for any watch that somehow manages to sell year after year after year, with little change. And in keeping with this theme, there are of course some modern watches that manage to display the same data and as a default view. These include digital and ana/digi models and some even manage an easy to remember pushbutton sequence to access more complicated functions. 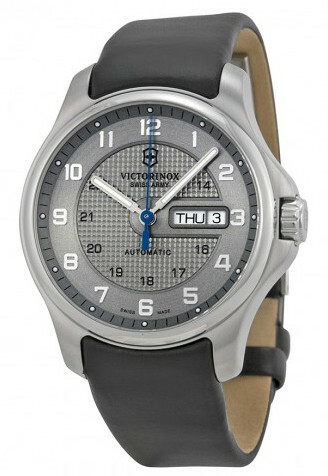 These models appear in most price ranges, but for me I tend to look at the affordable ones first. 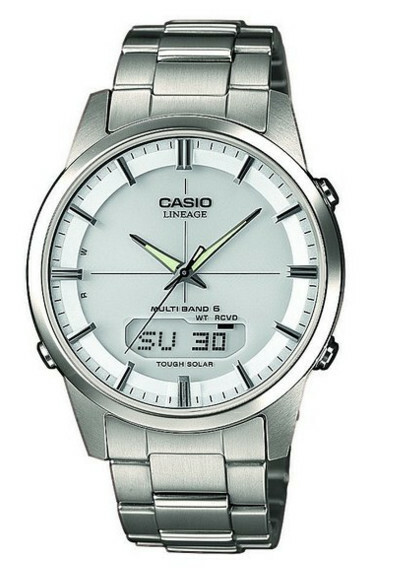 Casio LCW-M180D-1AER Radio Control, Solar, Day and Date view model. – both of which are well specified models offering many functions such as Radio Control, Solar Power, Stopwatch, Alarms etc. However they both manage to show the Time in analog and the Day and Date in a digital display as the default view, so meeting those three “must have” indications. 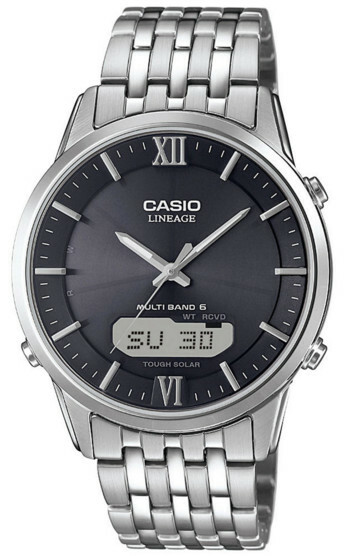 The former model is part of Casio’s Lineage series and as close as you’ll get to “get and forget” models today and represent great value and are relatively inexpensive. Diver Day Date Quartz – simple and effective. 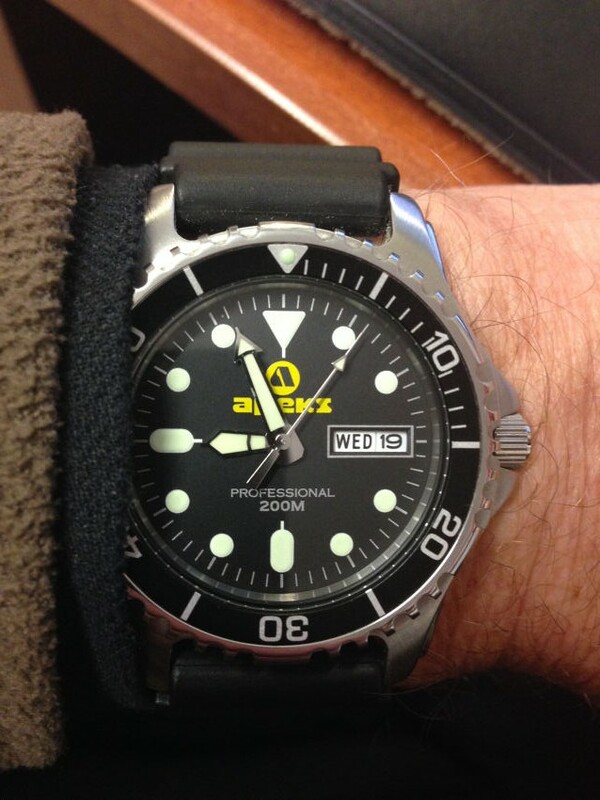 There are also a few Diver’s watches around featuring the Day and Date window plus Diver capabilities that offer extreme good value for money and well worth a look. Once again though it is no surprise that today Casio models feature quite prominently especially in the quest for watches that people “want” to wear. Models that offer the basics properly (so important) and now of course coupled with a higher technological level that hitherto was just not possible. 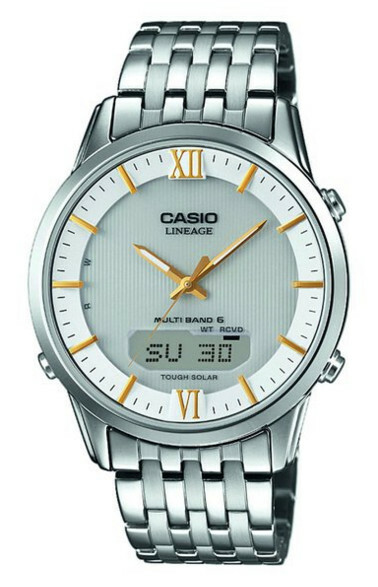 Take the Casio LCW Lineage series for example – these manage not only to give the wearer the essentials – of Time, Day and Date as the default view, but also “get & forget” features such as Radio Control and Solar Power. And Casio with these analog and digital hybrids offer in addition highly effective intuitive ease of use. I also like the fact they have “come of age” in comparison to the older Casio WVA-470 and don’t advertise on the dial the advanced technology within – they are nicely understated and rather refined in my view. I have the WVA-470 myself and I like it a lot, but the newer LCW-M180 is much more elegant and in fact a real class act (I’m tempted again just writing this!). 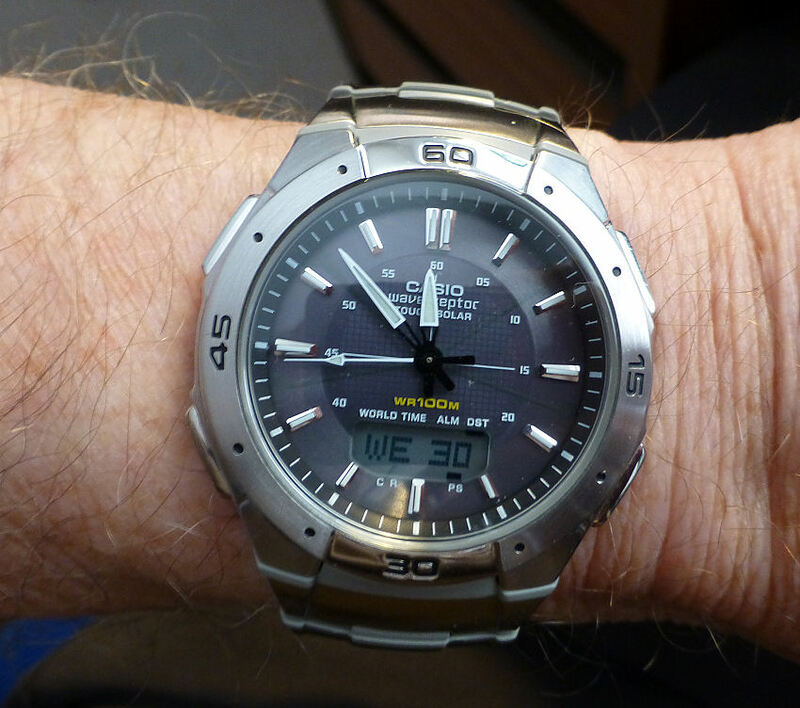 So as to the question of Day and Date watches, I have to admit the Casio LCW (my review soon) is probably the successor to the older mechanical Day date Automatics and a worthy one at that. Though that said, don’t write off the Automatics just yet, I have a feeling they will be around for a long time yet. Who knows they may be the true survivors – and only Time will tell . . . . . . .